“Nothing in life that’s good comes easy." A high-powered career takes years of dedication and professional growth. A relationship takes consistent caring, love and selfless behavior. Why would building a healthy and fit lifestyle be any different? But many CrossFitters struggle with that realization when they figure out that showing up and working hard is only half the battle. The other half is staying excited, passionate and dedicated even after gains begin to taper off. It’s showing up consistently, staying involved in the community and trying even harder to succeed. Today we’re going to go over 11 actionable strategies for busting through plateaus and shaking the CrossFit blues once and for all. Use the links below to jump straight to the 11 tips! Let’s say you've been CrossFitting 2+ years. You've forgotten what it felt like to be weak, slow, or out of breath every time you walked up a flight of stairs. Since you started CrossFitting, your life has likely changed significantly, but it’s easy to underestimate those changes and get used to the status quo. 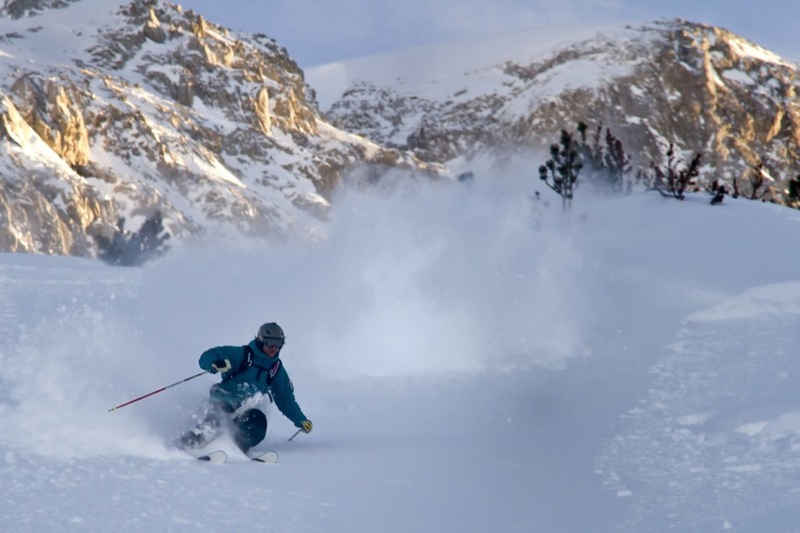 Ski 10,000 vertical feet without stopping, check. Windsurf waterstart in 20+ knots of wind, check. Hike to the top of Mt. Saint Helens, check. Carry your entire family on your back, check. Regardless of what you’ve achieved from an athletic standpoint on your CrossFit journey, beginner gains can’t go on forever. While you may have felt like you were hitting a new PR every week during your first couple years, those milestones are fewer and further between. There will come a time when you re-test a benchmark WOD and don't PR, or your max lifts are no longer going up. In this case, the mature CrossFitter can get a case of the CrossFit Blues. A mid-CrossFit life crisis where you wonder if it was all worth it and what the purpose was in the first place. Isn’t CrossFit designed to be a “no-plateau” fitness philosophy? 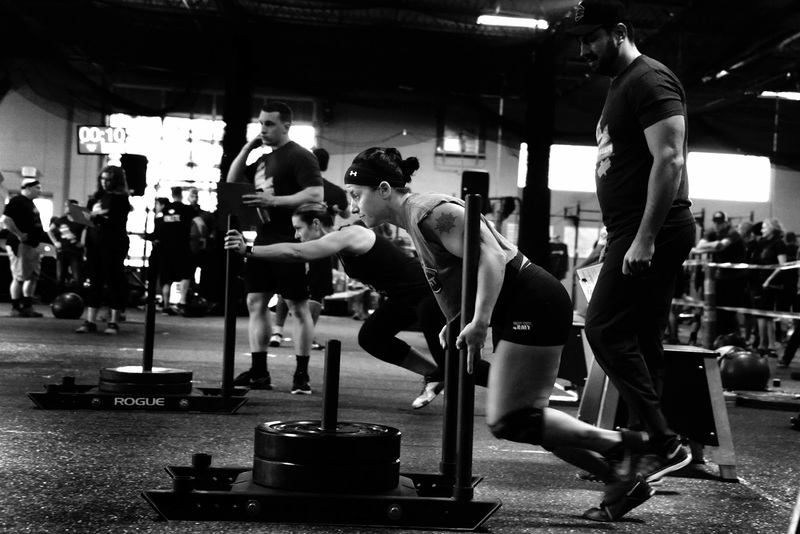 The concepts of functional movement and constantly varied movement are certainly unique aspects of CrossFit that help athletes consistently challenge themselves and maintain peak performance. Instead of showing up to the gym and going through the same tired workout every day, CrossFit pushes the envelope by making sure your body never gets ‘used to’ any movement, because that would make it less challenging and cause it to yield lesser results. As an avid CrossFitter, you’ve embraced functional fitness and varied movement, so shouldn’t that mean the pace of your gains will never taper off? While varied movement typically delay your plateaus and make them less extreme, the human body is still human. Eventually, you will hit one. Sure, physical plateaus are a definite reality, but if athletes don’t address them in the right way, they morph into mental plateaus as well. Most of us are in this for the long term benefits, not to win a specific competition (college or professional athletes), or because our livelihood depends upon it (police, military, firefighters). But, if the fire that motivates us to train with intensity five days a week goes out, we can risk losing what we have worked so hard to gain. If you aren’t seeing consistent gains, or you feel that you’ve gotten as strong and fit as you will ever be, you may begin to lose confidence, dedication and excitement. You may not be as excited to participate, support and be a part of your CrossFit box’s community.You may stop working out altogether. With that said, we’re here to make sure that never happens. Once you apply these 11 tips, you can say goodbye to your plateau and your CrossFit blues! Whether you’re the organizer or simply a participant, fundraisers put on by local CrossFit gyms are a great way to reboot your appreciation for CrossFit and do some good along the way. These types of fundraisers usually target needs that are specific to the community and end up making a sizeable impact, so know that your love for CrossFit is benefiting the community at large. Not to mention, you’ll have the chance to meet new people. We attended the Training Day Oly Luv fundraiser at CrossFit Lacey in 2016 to help score the event, and ended up filling in on one of the teams. It was incredibly fun experience and we left with new accomplishments and new friends. 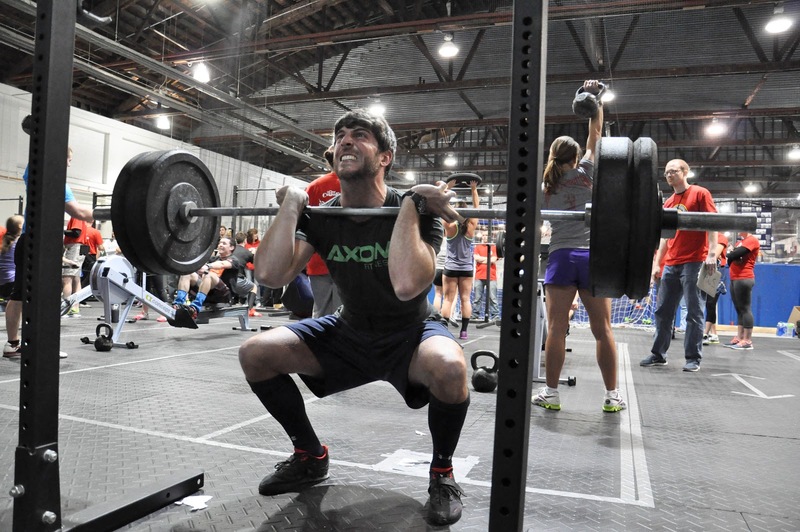 An event like this will help you put your CrossFit experience into perspective. You will realize that CrossFit is about more than self improvement. It’s also a wonderful vehicle for helping others. That realization may be just enough to push you through the CrossFit Blues. It’s amazing how many athletes choose to struggle mightily at a particular movement or technique rather than seek out their coaches for help. This often leads to a stagnation of your results, rather than consistent growth. CrossFit coaches are an extremely passionate and helpful bunch. Many would be happy to work with you before or after a class to help you master a movement or technique that may be causing you trouble. If you’re in the middle of a plateau, your coach can be the best person to turn to. You can also consult the owner of your gym for opportunities to get involved. What events are coming up? How can you help? You never know when there may be a perfect opportunity for you to get more involved with the community or further develop your training. 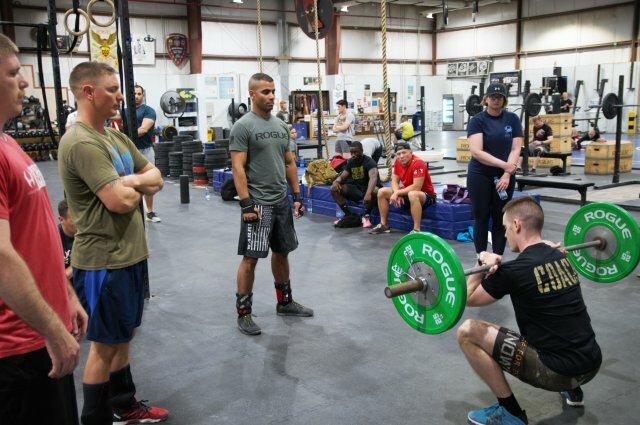 CrossFit's focus on general physical preparedness (GPP) means that we can get pretty good at a lot of things, without mastering a single thing. This often means that you have the opportunity to choose a specific skill and make serious gains. This could joining the 300# back-squat club, getting a strict muscle up, or stringing together 20 strict pull-ups. Focusing on one specific new skill will provide focus to your training, and once you get it, you'll be able to enjoy that high. There will most likely be a trade off with some other area in your GPP, but if it gets you motivated and helps keeps you having fun, it's totally worth it. Don't use this as a reason to stop going to class and "just focusing on oly for a while." Instead, make this a goal that you can add into your class time. Coaches are excited to know you have a goal and will be sure to help you achieve it! Having something to train for is always a great motivator. With the right teammates, team competitions are low pressure and fun. Especially if you’re in a training rut, adding in some team training sessions can be just what the doctor ordered. Try new things such as synchronized pull-ups or partner deadlifts. Enjoy the camaraderie and break out of training ruts. You might even consider training for a 5K, triathlon, ragnar relay, or Wodathlalon. Having a set of competitive objectives to work toward will be a huge motivator, and can help you put in the extra effort to get past your plateau. Did WODHOPPER really just propose throwing out all your old scores? While it is our business to help you track your results, sometimes a clean slate is what you really need in order to move forward and continue your growth as an athlete. In those early years of excitement after becoming a CrossFitter—or out of just plain ignorance—most of us have logged some results that may be of questionable validity. Whether it's a range of motion issue, or if it was just a really ugly rep, we tend to have higher standards as accomplished athletes than we did when we were first starting out. Because of this, comparing our future gains against those past results can be really unfair and demotivating. As Greg Glassman said, "Once you have mastered the basics, start over again, this time paying closer attention." Throwing away your log book will take the pressure off the ever increasing focus on beating last years numbers, and instead let you focus on quality. Try resetting your 1RM numbers to the max weight you can do with perfect form, then focus on increasing your strength while maintaining that perfect quality. Soon enough, you’ll be breaking through plateaus you’ve been stuck on for years. It may take several years to get back to those old numbers—but when you do, you'll be stronger and healthier than ever. In 2017, we attended the Box Pro Leadership Summit—hosted by co-owner of San Francisco CrossFit, Juliet Starrett. During the event, she mentioned that her gym will only record a rep if it is absolutely perfect. There’s clearly a value in going back to basics and holding yourself to a new, higher standard. Bodies don’t stay intact and unstrained at all times. Whether through aging, fatigue or injury, there will be times you are so sore that you wonder whether CrossFit is still worth it. While it’s impossible to fully avoid aging or completely eliminate the risk of injury, focusing on mobility, symmetry and posture will certainly help. Working on your mobility, symmetry, and posture may not sound like the most exciting activity in the world, but if you’re a serious CrossFitter, it will help you improve your form, speed up recovery time, and improve as an overall athlete. Check out Egoscue, a great posture training system. Go to a yoga class from time to time. Attend a Functional Movement course in your area. Taking these simple steps will help you build a better foundation and a healthier body, allowing you to grow and improve as an athlete. Let’s say you’re having a rough day, but you know you need to hit the gym. When you get there, you’re feeling a bit tired and lazy. You know you’re great at specific workouts—like ones including cardio—so you consciously decide to focus on workouts involving cardio rather than workouts that involve your areas of weakness, like, say... squats. Neglecting your bad lifts will hold you back as an athlete. It’s as simple as that. If you’re in the middle of a plateau, or a feeling less motivated to workout, it’s probably because at some point, you neglected to focus on your areas of weakness. Sometimes an intensive focus on the workouts you tend to not be great at is enough to blast you through a plateau. It’s one of the first things you should try when you feel like your gains are slowing down. Earlier, we talked about throwing away (or just temporarily putting away) your log book. We still very much advocate that if you’re in a rut. But another strategy is to challenge yourself more than you thought was possible with brand-new lofty goals. The CrossFit Blues happen because you’ve likely gotten stronger and more fit than you ever thought you could. Now it’s time to do it all over again. And this time, you’re starting with a much more developed foundation, so it should be easier, right? Psychologically, if you have something to work toward, you will be more motivated to show up, work hard, and push yourself. Constantly varying movement is one thing, but have you tried varying what time you go to the gym? Habit and routine can be very positive aspects in the lives of effective people, but they can also lead to boredom and complacency. If you’re used to going to your CrossFit box every day after work, maybe you’ve developed a sort of robotic, ‘going through the motions’ attitude when doing so. Why not mix it up and try going in the morning or later in the evening? You will be catching your body at different points in its regular daily cycle, causing muscles to work at a time they are usually resting. 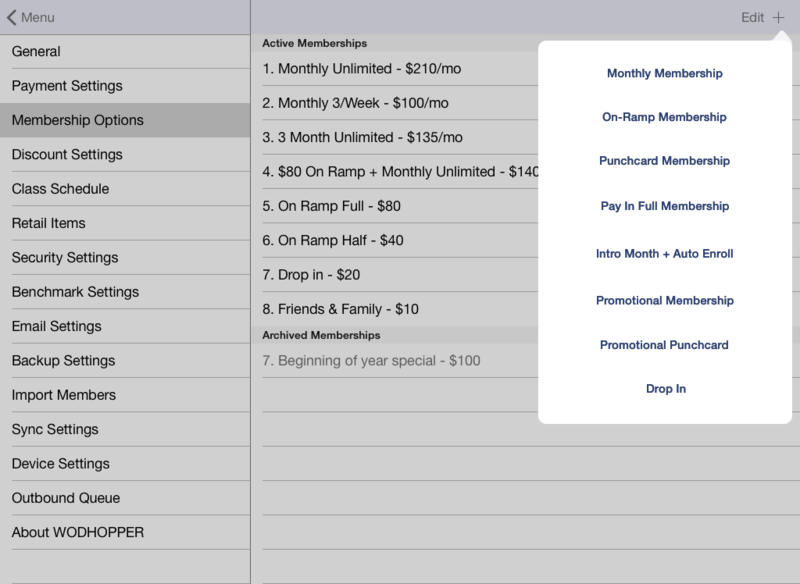 Habits are good, but redundancy can be a motivation-killer. By realigning your understanding of what each workout’s focus should be, you can improve your results. In CrossFit, there is a significant difference between practice, training and testing, but many athletes approach all three in the same way. 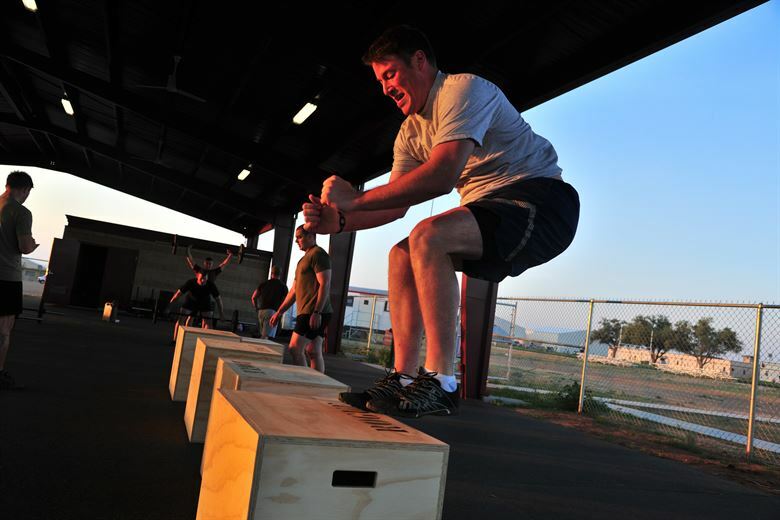 Practice is aimed at increasing an athlete’s agility, coordination and balance in particular lifts or movements. In other words, it’s working on mastering the mechanics of a specific activity. Training is aimed at working on a particular aspect of your fitness, such as cardio, strength training or flexibility. You need to practice a movement or lift before training for it, because you want to make sure your mechanics are correct. Testing is competing in or testing for a benchmark. An example of a benchmark would be Fran, Murph or Max Muscle Ups. Testing should only be done when you’ve mastered mechanics and trained enough on particular exercises that will be done in a benchmark. It’s important because it helps you paint a picture of where you stand in terms of fitness, and what you need to target in future workouts to improve. By going back to basics and making the distinction between practice, training and testing in your future workouts, you can ensure you’re on the right path for big gains going forward. When things start to get easier or more redundant, people tend to start cutting corners. Sure, you may argue that your CrossFit workouts are always challenging because of their varied nature, but to an extent, you get more and more familiar with certain movements over time. Chances are, wall balls come easier to you know than they used to. But that’s no excuse to cut corners or skip workouts. If you’re in the middle of a plateau, chances are it’s because you aren’t bringing the same energy you used to, or because you don’t think the same effort is necessary. The bad news: That’s unacceptable! The good news: It’s completely fixable! The solution lies in identifying every single situation where you’ve failed to challenge yourself or put in maximum effort, and eliminate the possibility of those situations arising again. Never count bad or half-reps. This is probably why you’re perplexed in the first place that your performance hasn’t improved. Always give 100%. It’s obvious, but it needs to be said. Never, ever skip a rep. You’re only fooling yourself. Never let your performance on a particular workout be determined by external factors, like the person next to you. It’s more important to do it right than to beat your neighbor. Stop snoozing your alarm when you’ve scheduled an early morning workout. Not showing up is the easiest and quickest way to fail. Stop letting your diet slip. Set yourself up for success with everything you put in your body. Have your CrossFit Inspiration back? No plateau is too big to surpass when you have motivation from within along with a supportive CrossFit community. There are tons of ways to bust out of a CrossFit plateau. Really, the only way to get stuck in it is to do nothing and stop challenging yourself. It’s important to never forget why you started on this journey in the first place. That knowledge, combined with a realization of how far you’ve come will keep you going!